With so many different types of bread out there, it’s becoming harder and harder to know which one to choose when the time comes to construct our favourite sandwiches. Of course, we all have ingrained preferences when it comes to taste, but which variety of bread is the healthiest option? Surely White Bread Isn’t Good For Me? Poor old faithful. 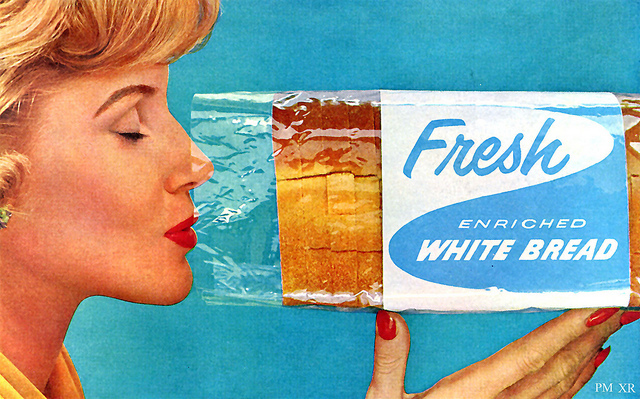 For decades white bread has been copping it from all angles. But is it possible that white isn’t all that bad for you? A recent study published in the Journal of Agricultural and Food Chemistry found that white bread appears to boost the growth of a particular type of gut bacteria that’s very beneficial to our health. The researchers from University of Oviedo in Northern Spain concluded that the starch and fibers present in white bread are good for the development of these microscopic germs. However, I’m not too sure ol’ faithful is quite as healthy as this old Wonder Bread commercial would lead us to believe. While multigrain bread lacks the good gut bacteria producing agents of white bread it’s generally considered to be healthier than white bread. Multigrain foods are high in complex carbohydrates and protein. And this is good news for our bodies when it comes energy production; a characteristic that obviously helps us with exercise and weight loss. With this mind it’s important that you always read the ingredient list before purchasing multigrain bread, and remember: if the first flour in the ingredient list is refined, you’re not getting what you paid for. This Weight Watchers commercial from 1984 seems pretty crash hot on the benefits of its multigrain varieties. While many people prefer the taste of white bread, rye bread is indeed healthier for you in many ways than wheat based breads. In a 2010 study conducted at Lund University in Sweden, mice were fed whole grain diets based on either wheat or rye, for a period of five months and following this the researchers concluded that whole grain rye “evokes a different metabolic profile compared with whole grain wheat.” The rodents that consumed the rye had reduced body weight, improved insulin sensitivity, and lower cholesterol. I wonder what those little guys would’ve thought of Kaufman’s recipe?